Saturday, June 24 marked the third annual North Lake Tahoe area fishing trip with the Purple Heart Anglers for disabled veterans to cast away all day. The Purple Heart Anglers don’t do politics and they don’t do therapy, at least, not in the traditional counseling sense. Instead, they provide wounded veterans the opportunity to reconnect with nature while feeding their adrenaline bug that they rarely get to tap into. “All veterans have already paid their dues, we don’t require a membership,” said the nonprofit’s president Randy Houston. Houston was inspired to create the group as an outlet to support veterans and a tribute to his brother’s legacy as a disabled veteran and recipient of two Purple Heart awards. His deep appreciation for the service of military men and women has driven him to run activation trips in various outdoor locations for the heroes, who are still so adventurous at heart. 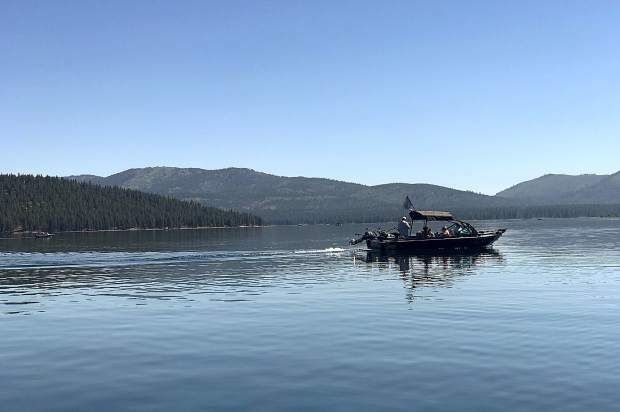 Each year the Anglers host one trip in particular in the North Lake Tahoe-Truckee area where volunteer boaters and fishing guides treat disabled veterans to a day on the water, reeling in fish, followed by a barbecue lunch. Two weeks ago, their third-annual event was hosted on Stampede Reservoir with 13 volunteer boats and three local fishing guide businesses, who met up at 5:30 a.m. to show the veterans a great time. “We get volunteers thanking the disabled vets, vets getting to experience these trips, which they almost never get to do. I’m not sure who’s affected more,” said Marc Christophel, owner of Christophel’s Fishing Guide, and volunteer boater for the day. Whatever it takes, the volunteers get the veterans to their destination. Their first responder, paramedic, dark diver, and officer staff help carry and transport veterans and assist them in any way they can to make the trip as comfortable and rewarding as possible. The Purple Heart Anglers take heroes on fishing trips like the one hosted on Stampede, in locations across the country to increase accessibility to their programming for veterans spanning far and wide. From pheasant hunting trips to eating gourmet food, lounging shoreline in Costa Rica, the non-profit offers disabled veterans experiences that they ordinarily wouldn’t get the chance to enjoy. “Everyone takes away their own piece,” Christophel said. 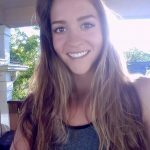 Houston shared several heart-wrenching and heartwarming stories, calling attention to the really important things in life and what some have endured for us to live a “normal” life. He spoke to some of the physical and mental injuries many of the heroes had suffered and introduced Don Motto, who jumped from planes from 1967-80. Motto has attended several of the organizations trips fishing and hunting turkey after having met Houston out front of a Bass Pro shop doing his grassroots marketing of the organization’s mission. The day was filled with as much laughter as it was thoughtful silence. Just as Houston had the boat nearly in tears of appreciation over stories of sacrifice and camaraderie, a distinct “Heeeere fishy, fishy, fishy” rang through over the radio, which, the expert fishermen explained, was the official strategic fishing call of the wild.